THE TALK celebrates SURVIVOR's 25th season with a special commemorative show, Wednesday, Sept. 19 (2:00-3:00 PM, ET; 1:00-2:00 PM, PT) on the CBS Television Network. The show features appearances from upcoming SURVIVOR: PHILIPPINES castaways: Medical Evacuees Michael Skupin, Jonathan Penner and Russell Swan, as well as Lisa Whelchel (Blair from "The Facts of Life"). 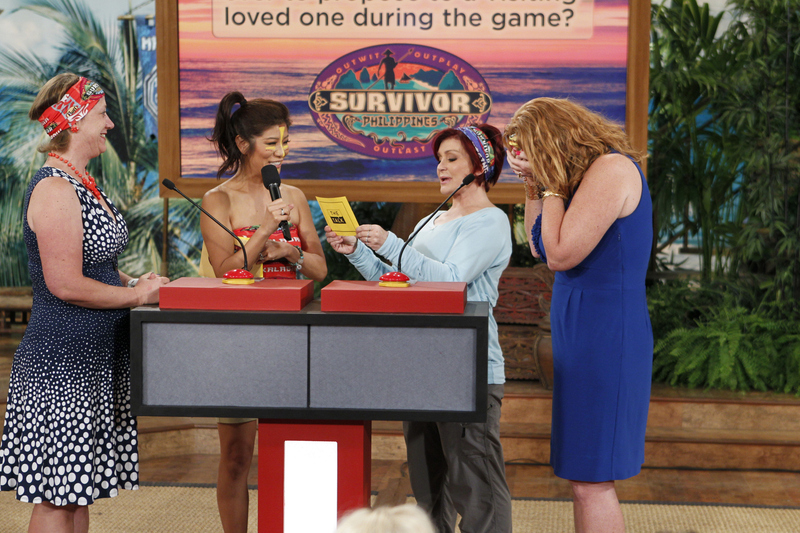 Hosts of THE TALK also participate in a SURVIVOR challenge on stage and the audience and viewers at home have a chance to win SURVIVOR-themed prizes. Photo: Cliff Lipson/CBS ©2012 CBS Broadcasting, Inc. All Rights Reserved.